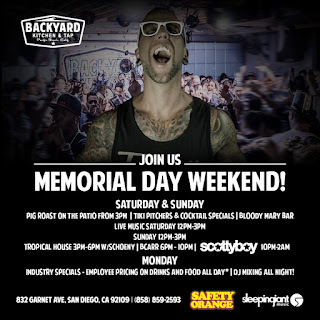 Memorial Day in San Diego! - San Diego Dining Dish! Memorial Day in San Diego! Memorial Day commemorates those who lost their lives while serving our country in the armed forces. The holiday is typically a day of celebration, marking the joyous beginning of the sunnier months. Pay your respects to those who serve our country and kick-off the summer season with these exciting San Diego spots that will make this Memorial Day one for the books. 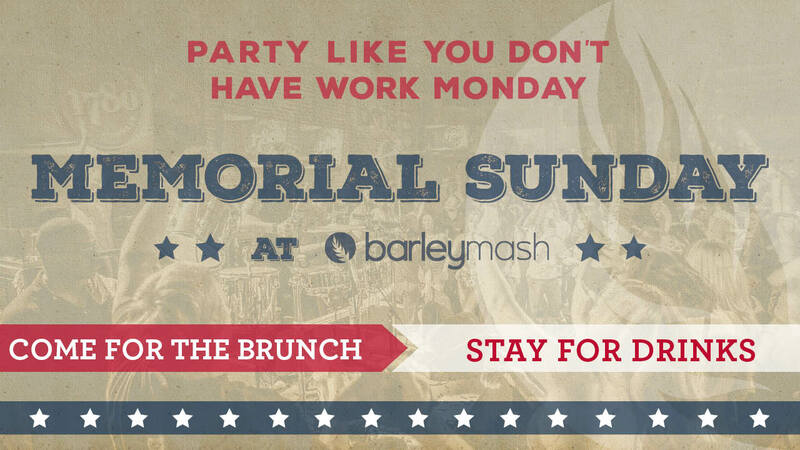 Brunch in the Gaslamp District is a great way to start off this holiday weekend and barleymash has options to cater to all your morning cravings. Get started at10:00 a.m. with their menu filled with mouthwatering combinations inspired by the tastes of bourbon and beer. Pair the Brown Ale Biscuits and Gravy with a Java the Hutt cocktail made with coffee, vodka and white chocolate. Located on Fifth Ave, the big, open windows of barleymash are a perfect vantage point for soaking in the sights and sounds of Downtown San Diego. Spend your day-off in North Park and indulge in a wild breakfast hosted by the popular, Breakfast Republic. Sit in the sun on their patio, or admire their living wall inside, while you spend the holiday feeding your appetite with unique breakfast creations. You know what they say, breakfast without booze is just a sad, late lunch. Pair a dish, such as Cinnamon Roll Pancakes, with one of their craft beer flights like the SD Classic that highlights Stone, Port Brewing, AleSmith and Fat Cat beers. Looking for a quick bite? Head to The Taco Stand in La Jolla or downtown for a fast-service restaurant that doesn’t skimp out on big taste. With family-recipes and high-grade ingredients, you can’t go wrong with anything on their menu, however, the Al Pastor and Camaron Tacos are a crowd-favorite. With a roller coaster, fire pits, and the gorgeous rolling waves of the ocean, Mission Beach is an ideal Memorial Day destination. Sandbar Sports Grill is located just a step away from the water in this fun and beachy neighborhood. Play all day on the sand and then stop in for their award-winning TKO Fish Tacos! Watch the sunset from their rooftop outdoor deck with a specialty cocktail or a cold beer in hand. An all-American bar for an all-American holiday, 1919 is known for their sports-centric atmosphere and unique twists on classic American cuisine. Spend your Memorial Day downtown watching your favorite game on one of their 25 HD TV’s and snack on their 1919 Dog made with whole grain ale mustard and a pretzel bun. Many people imagine a Memorial Day barbecue at the beach, lounging in the sun. At Pacific Beach Shore Club, you can have exactly that and more! Step inside this classic beach bar and drink a cold beer while you enjoy a panoramic view of the Pacific. Devour their Beach Burger or Shore Brisket Sando without ever losing the fresh feel of the ocean breeze. Pacific Beach’s PB AleHouse and Backyard Kitchen & Tap combine sand and swank for a delightful Memorial Day bash. Begin your celebrations at AleHouse for breakfast starting at 9:00 a.m. Take in the beach views from their Sky Bar and fill up on hearty morning dishes such as their Crab and Lobster Benedict. Then head to Backyard and continue the celebrations on Sunday, May 29th with a pig roast at 3:00 p.m., tiki bowl deals and Budweiser and Samuel Adams drink specials. Stay for their live entertainment including DJs such as DJ Schoeny, DJ BCarr and DJ Scotty Boy. Head to Woodstock’s Pizza for some all-American slices of heaven. 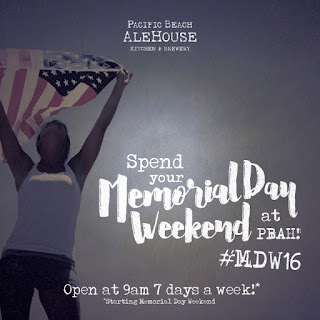 Whether you are visiting the Pacific Beach or El Cajon boulevard location both have tons of shareable options to make your Memorial Day an affair for everyone! Have a different kind of Backyard BBQ experience with their BBQ Bird pizza, hand-crafted with BBQ sauce, BBQ chicken, freshly sliced onions and crispy bacon. Stay in Pacific Beach for some of the “best at the beach” German coastal cuisine at Tavern! 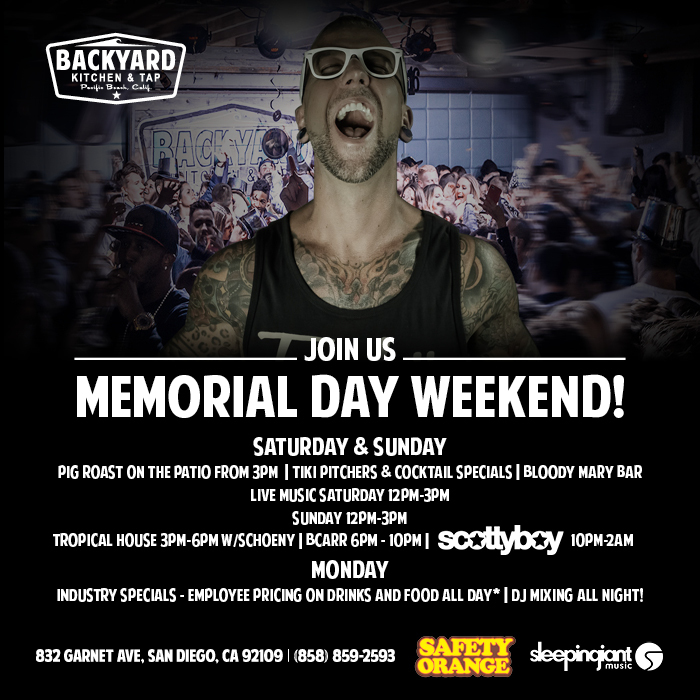 This seaside restaurant and bar is hosting an all-weekend Memorial Day party to remember with Happy Hours, DJs, Brats BBQ and Dancing! 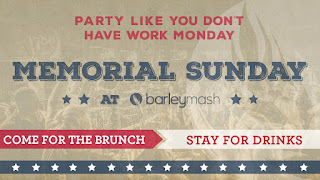 If you work in the industry, they will be having their 3rd annual Memorial Day Industry party from 9 p.m. - close on the 30th! Order a local craft beer or summer cocktail, soak up the sun and give a toast to those who serve at one of these awesome Memorial Day hangouts!